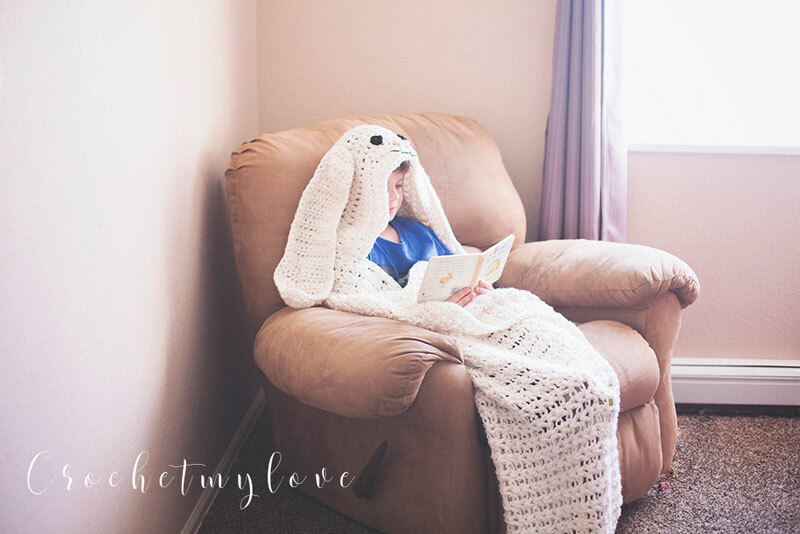 Just in time for Easter, this adorable hooded bunny blanket is a super cute and super fun project to work up for any kiddo or adult who loves those snuggly bunnies! 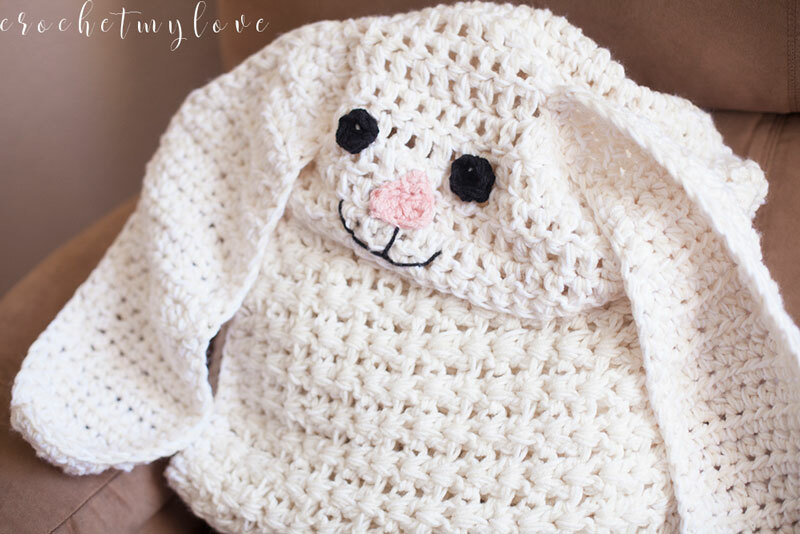 This bunny blanket is a really quick project that would make a truly fun gift. 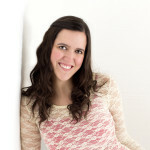 It also comes in either a crochet or a knit version, so you can choose the craft that works best for you. 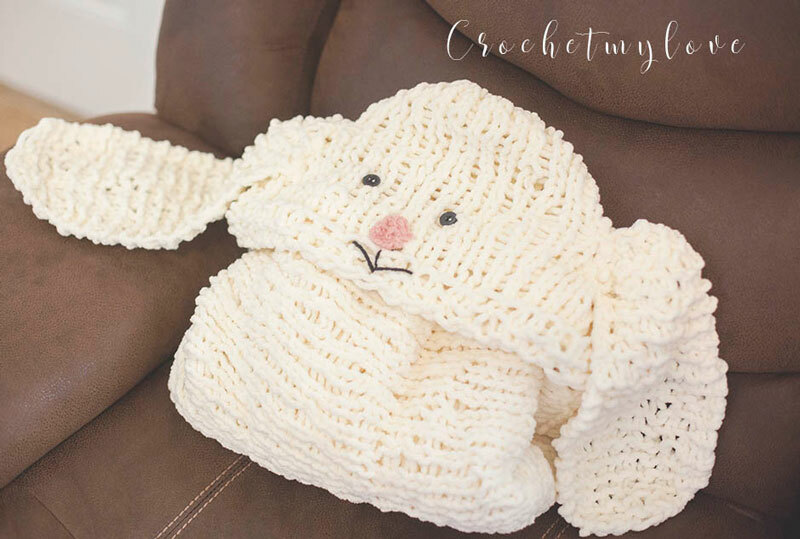 This free hooded bunny blanket pattern features bulky (5) weight yarn and a size 9.0mm (N) crochet hook for the crochet version or super bulky (6) weight yarn and size 10.0mm (US15) knitting needles for the knit version. Thank you to Dusty Geest of Crochet My Love Designs for sharing this fun free crochet easter pattern with us! You’ll find the crochet Ravelry listing here. You’ll find the knit Ravelry listing here. Dusty has been designing patterns for the last 7 years. She loves living in gorgeous Colorado with her amazing husband, 2 awesome kids and her BFF Hank the weiner dog. Vist Dusty’s Ravelry page by clicking here. Thank you so much for the patterns! Thank you, I can just see my nephew in a few years, sitting with his bunny blanket. Thank you so much Melody for sharing this. 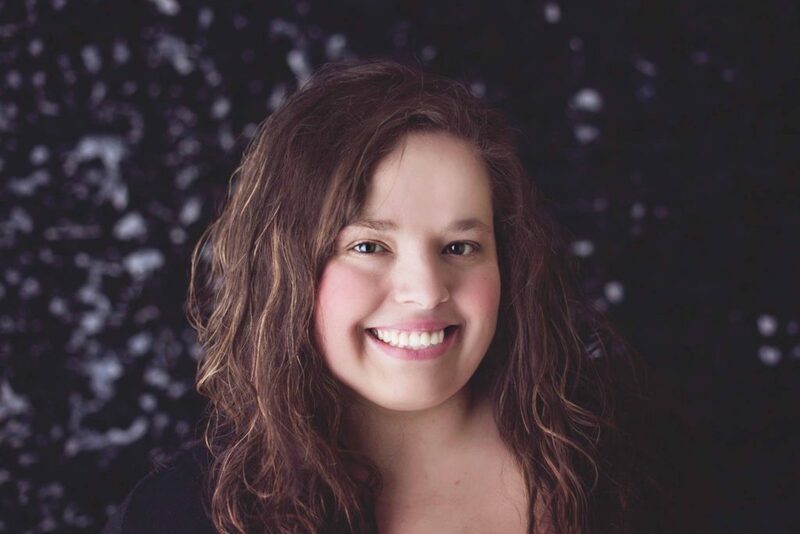 Dusty is an amazing woman just like you and designer. I’ve had the pleasure of testing a few of her patterns. She’s such a joy to work with. Thank u for the pattern. Will have to make it later on when I get some other projects done. Thanks a lot for the adorable pattern. This bunny is hoppin’ just great~! Thank you Melody and Dusty I need to go back and look at your lovely items so many to pick from Dusty. Please check your spam or promotions folders. If you still don’t find the email, please email me at melody@melodys-makings.com. Thanks very much. I really love this, must give it a go. Love this! I hope to make one for my Great-grandson & my Great-granddaughter. Thank you. I’m having issues with getting the pattern too 😢. I have done everything and I still can’t get the pattern. Great Pattern. Can’t wait to try it. Thank you so much, my grandson will love it! Thank you for the cute patterns! I can’t wait to get started! Thank You for the cute Bunny Blanket pattern! I seem not to be able to get this adorable pattern. I checked it in my email account and in my spam or junk folder but there was none. Please send it to dixiedelight001@msn.com and thanks! Thanks so much for the adorable pattern! I do have one question though. In the photo it the blanket looks like it is sewn together like a sack. However in the directions it doesn’t say to do that. Is the blanket just wrapped around the child in the photo? Either way I love it, I just want to make sure I am not missing a step. I’m trying to download this pattern. I’ve added it to the que and my favourites but each time I click on the link, it sends me back here. It’s an endless loop. could I possibly get the crochet pattern please? I would love to make this for my grandson. I have sent my information and haven’t received the pattern yet. Am I missing something? I shared, and signed up and still haven’t received the pattern for the Giant Hooded Bunny Blanket ~ Crochet Version and wondered what I did wrong? Please check your spam and promotions folders as the pattern can sometimes end up there. If you still don’t find it, please email me at melody@melodys-makings.com and I’ll make sure you get the pattern. Sorry for the trouble! Thank you I can’t wait to knit it and make a gift. I would love to make this pattern. I thought I followed all the steps to get it but I haven’t gotten it yet. Looking forward to it. I thought I left a comment yesterday, but, I don’t see it. I am having the same problem as everyone else. I don’t see where the pattern is so I can download it or save it. Thank you for the patterns. Great work. This is so cute, look forward to making it! I’m having problems accessing the pattern, I don’t see an option to download it from the link. I even signed up for an account. Can you please send it to me? I would love to make these for my girls for easter! Hello! Please email me at melody@melodys-makings.com and I’ll reply with the patterns attached. Thank you! Thank you for the lovely pattern! Thank you very much for sharing this pattern. Can’t wait to get started. Omgosh Melody! This is the cutest! I love it!!!! I’ve favorite it💗 and added it to my queue,as well as pinned it. But,I don’t see where to fill in the form. Am I too late?😞 And,are you still offering it for free?